Over the last few years, I have been quite interested in observing how some buildings especially large warehouses in Industrial Estates have such huge roof space and all that it is used for is mounting a few air conditioning units! 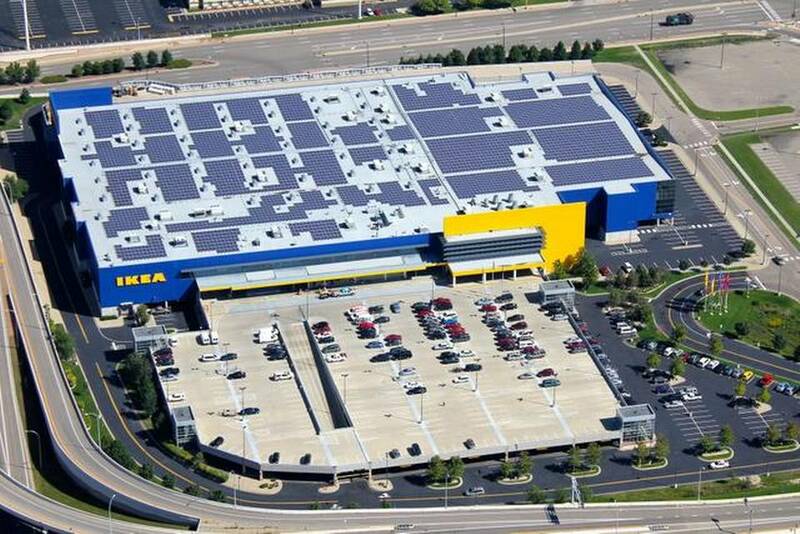 With the improvements in Solar Cell technology (including wind turbines), surely if at least 50% of all larger buildings in Estates such as these as well as Shopping Malls, Schools etc. were to be fitted with Photovoltaic Solar Panels then we would see a massive decrease in the need or reliance on polluting fossil fuels as well as Nuclear ! ? 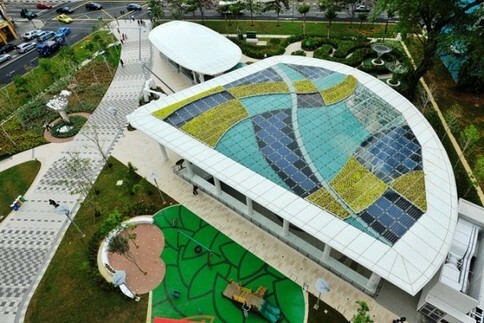 City Square Mall Singapore, Rooftop includes Solar Panels, Green Living Plants and Rainwater Harvesting! I completely agree that renewable energy is not something we can 100% rely on just yet, but slowly phasing out the need for these other primitive and environmentally destructive forms of energy until we gain the know how to become 100% reliant on renewables, is definitely something that needs to be done as a priority worldwide. Click Here for the Article on City Square Mall (Above Photo) in Singapore. 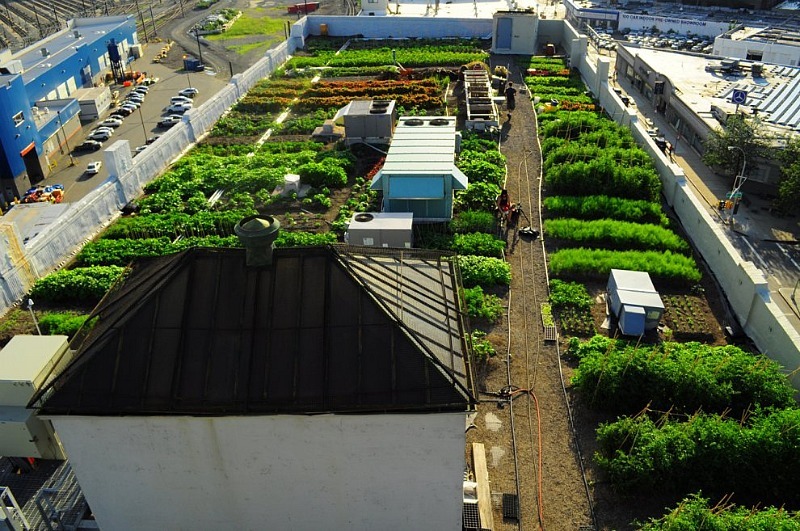 This is not entirely restricted to energy production, there is also food production as an option and this is becoming more popular worldwide! 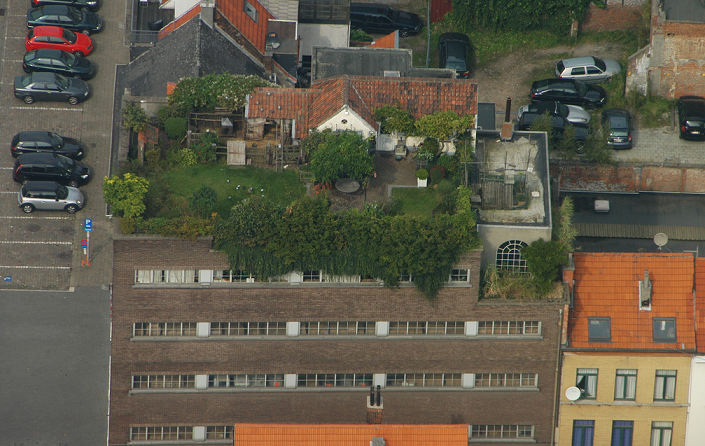 In England and also in many other countries, local authorities provide plots of land for rent to local residents at a rental fee (per year) which they can use to grow their own food, host a few bee hives etc. 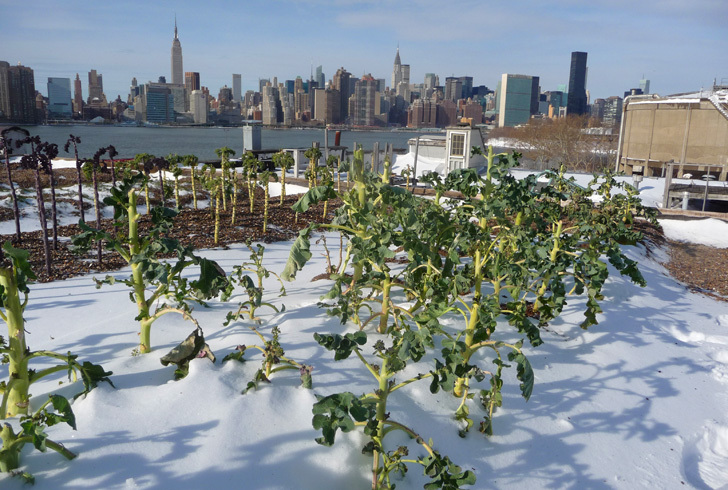 even just to be able to garden … Unfortunately, they cannot provide enough of these plots (Called Allotments in the UK) and some councils are selling them for private development! 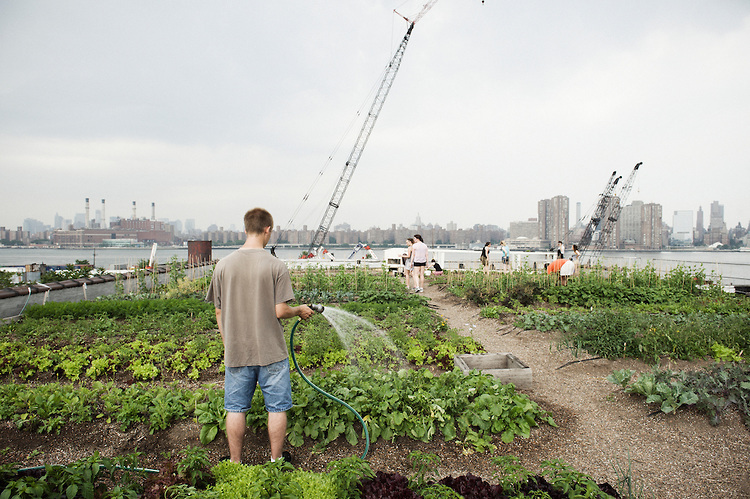 Not only this but running your own little plot on an allotment site also requires you to have reasonable transport options, many people do not own cars and also allotment sites can be too far from ones home. 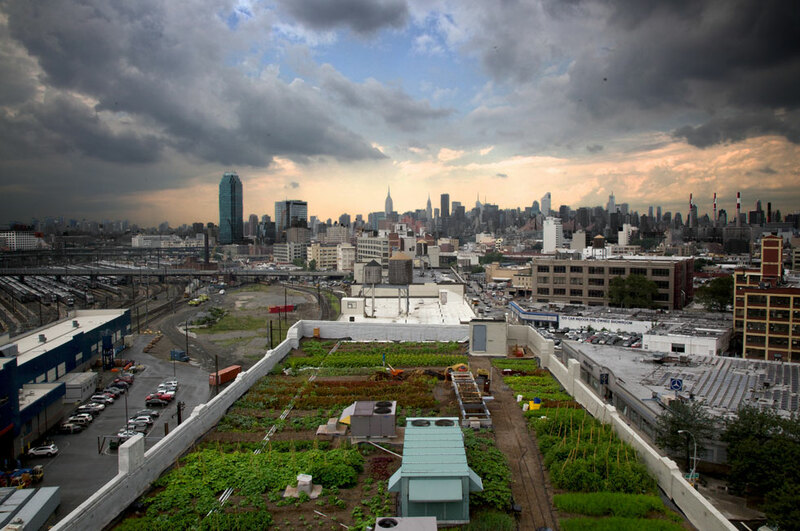 Note: I read somewhere a few years ago that New York is estimated to have enough roof space to feed 15 Million people! I do not know if this is on an annual basis calculation but if I ever come across the study I will most definitely post it here as an article with a link! 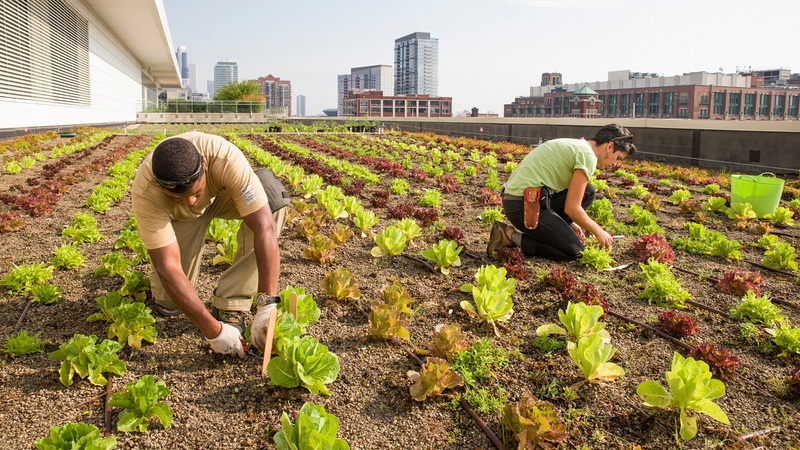 Stacey Kimmons and Audra Lewicki harvest lettuce at the Chicago Botanic Garden’s 20,000-square-foot vegetable garden atop McCormick Place West in Chicago. 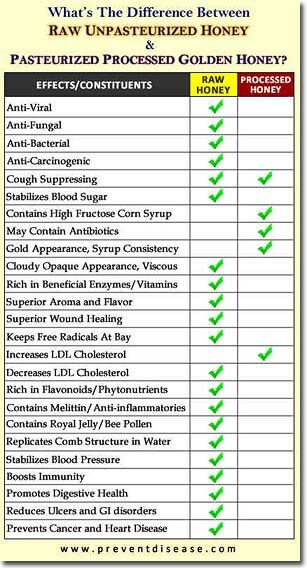 Why do I recommend you find a local bee keeper who sells honey? Because you know where it came from, who collects it and the fact that it is pure! The Chinese have developed a system of pressure filtering honey so that all the pollen is extracted leaving a honey like goo which tastes almost exactly like the real thing but lacking the goodness. You cannot simply decide not to buy Chinese honey because they have explored a loophole where they sell in bulk, to another country where it simply gets processed into individual jars and marked as ”Made in ‘X’ Country”. Plus, who knows which countries have bought the technology to pressure filter their honey? Solution, … go direct to a bee keeper! 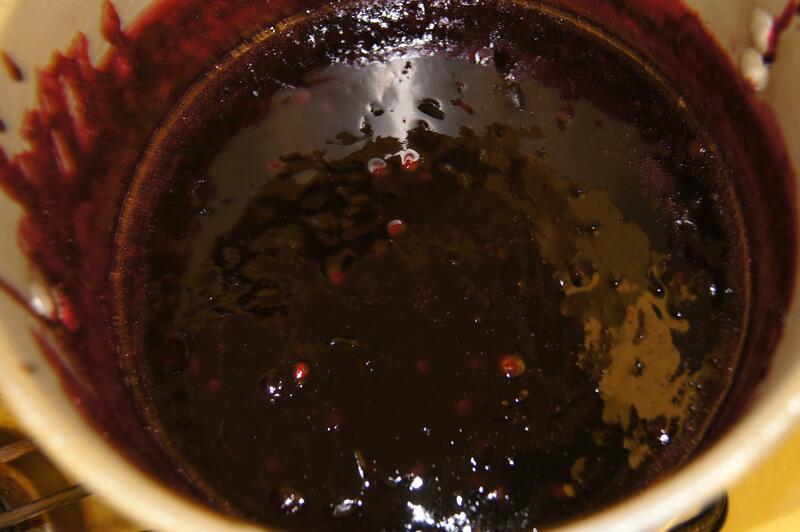 Further,some research and observation shows that by consuming local honey (as local as possible to where you live) you boost your immune system because those particular bees are harvesting pollen from plants that are in your immediate vicinity (Bees can forage up to 5 miles from their nest) this helps during the pollen / hay-fever season. 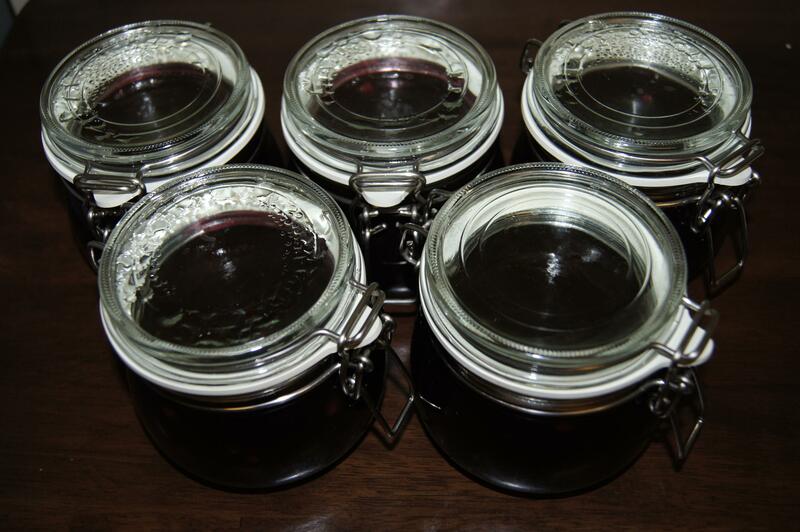 As promised, here is the first in the line of recipes for jams, jellies and other preserves for the end of the growing season as we prepare for the Autumn / Winter ahead. 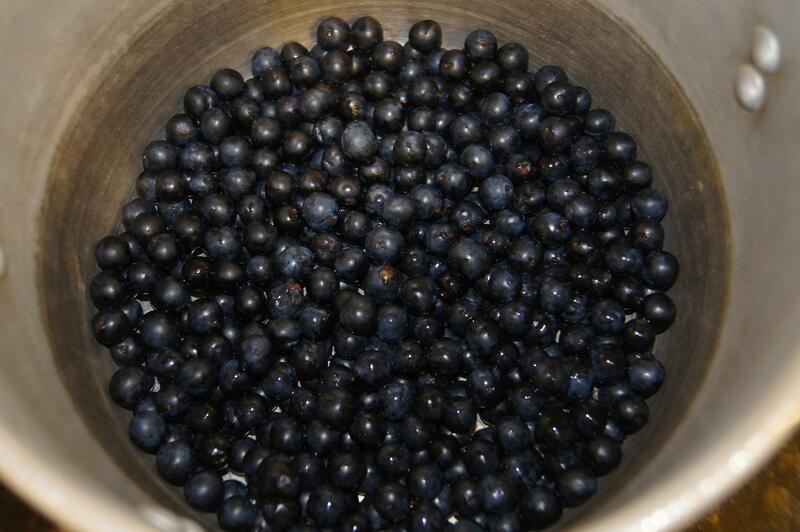 Wild Damsons are said to be cultivated Damsons which merely ”escaped” and found their way into the wild where they adapted and changed slightly. Fortunately they have spread everywhere and are a common sight in Nature, along canals etc. It is now the time to pick them as they are ripening at this moment. 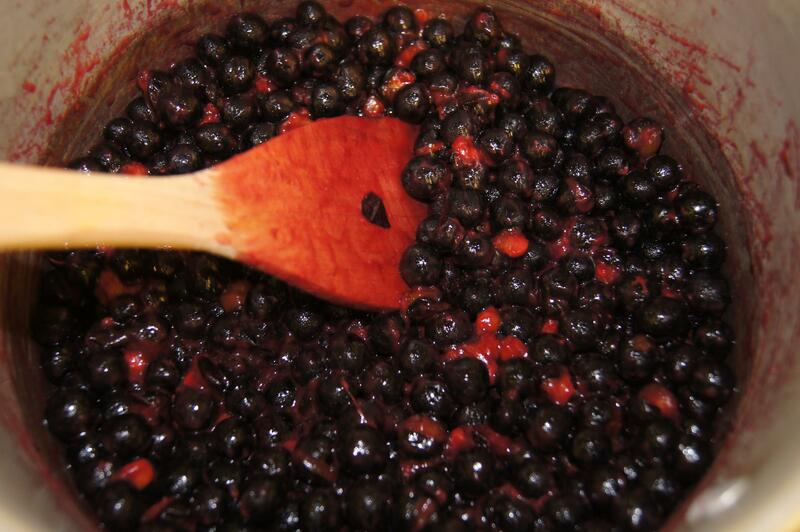 Wash and wipe the damsons. Pick over to remove stalks. 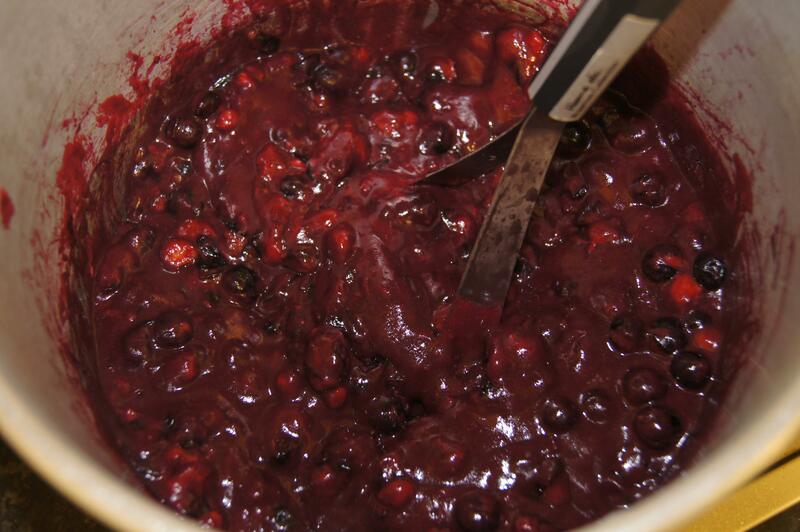 Put into a pan with the water and simmer gently until the fruit is soft, occasionally pressing the damsons with a potato masher to break open and release the stones. 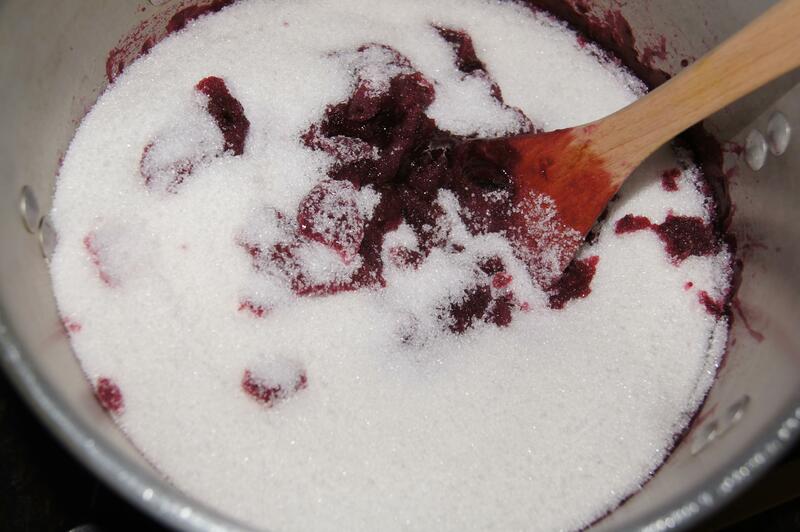 Add the sugar, stirring until it has dissolved. 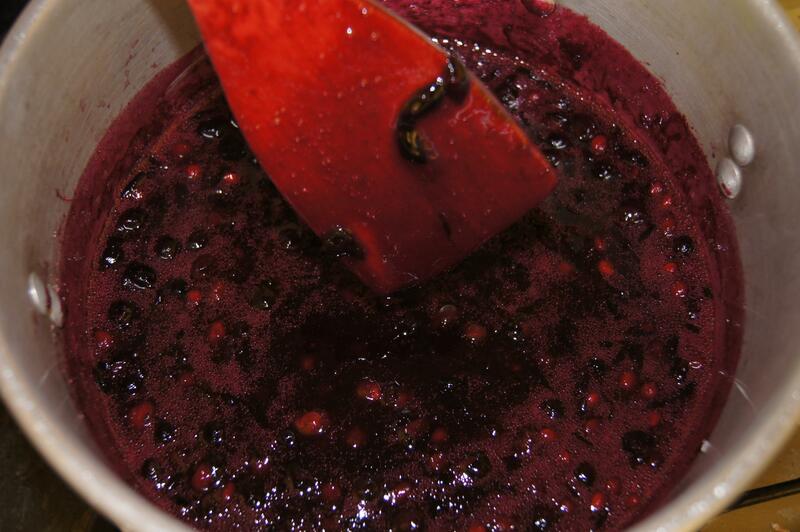 Bring to the boil and boil rapidly for about 10 minutes until the jam sets when tested (Click Here to learn how to test if it’s ready). Remove the stones as they rise to the surface. Remove the scum, Pot and seal while still hot. 3: While waiting for them to heat up, wash jars in warm / hot soapy water and rinse twice then place in the oven at 200 Degrees (Celsius) for 5 mins then bring it down to 100 Degrees. 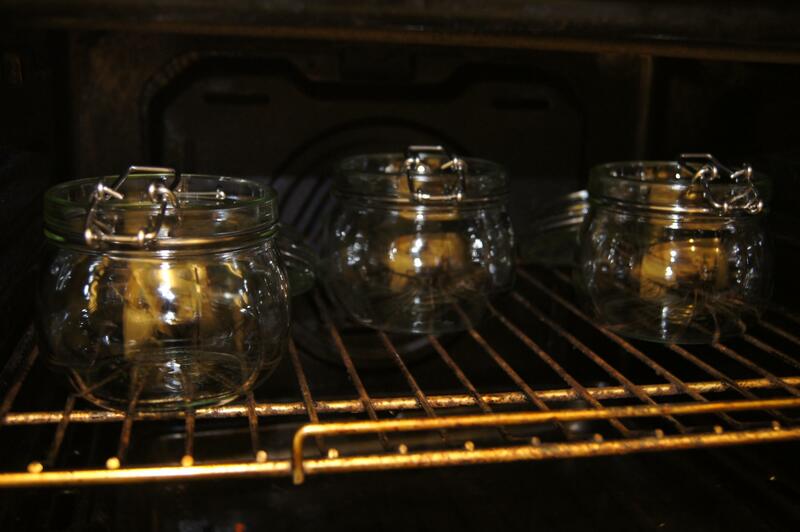 For jar sterilization, your jars should have been in the oven for at least 5-10 minutes over 100 Degrees Celsius then the oven switched off, the jars remain in the oven until you take each one out individually for filling. don’t forget you cannot place them on a colder surface so please remember to place a cloth, double-folded on a safe surface. 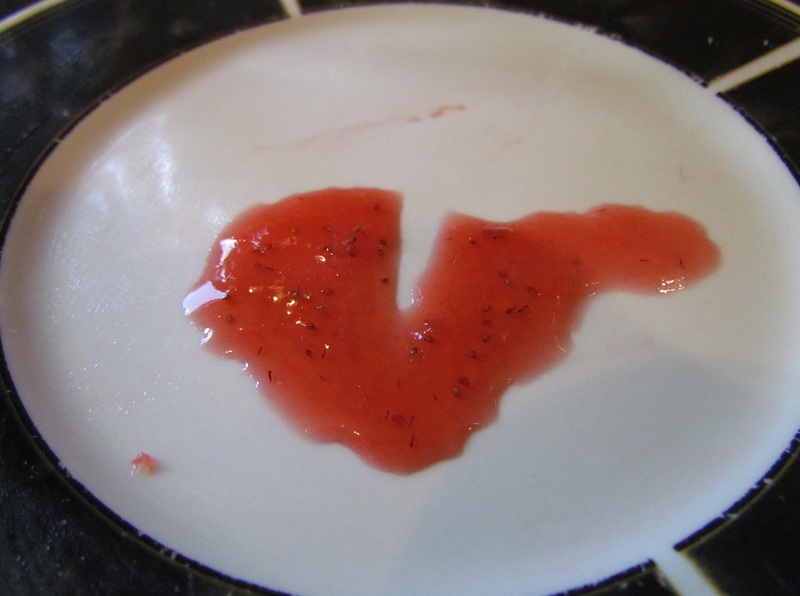 Please check back soon, I have quite a few more recipes coming including apple, quince and chutneys etc.